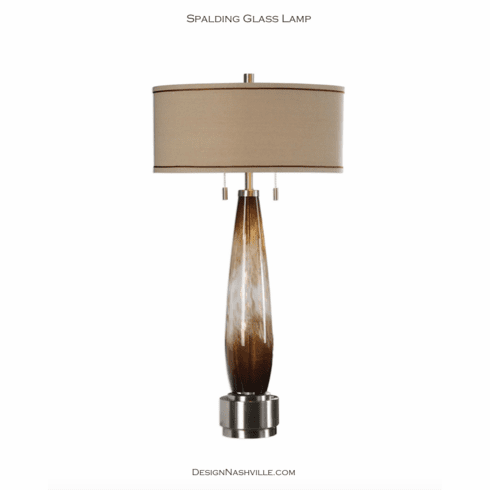 Two toned amber bronze and ivory glass with mottled metallic gold details, accented with thick iron features finished in plated brushed nickel. The round hardback drum shade is a rust bronze linen fabric with brown double trim. This lamp is well balanced and weighted. Workmanship is consistent and very good quality. Service by supplier is outstanding.